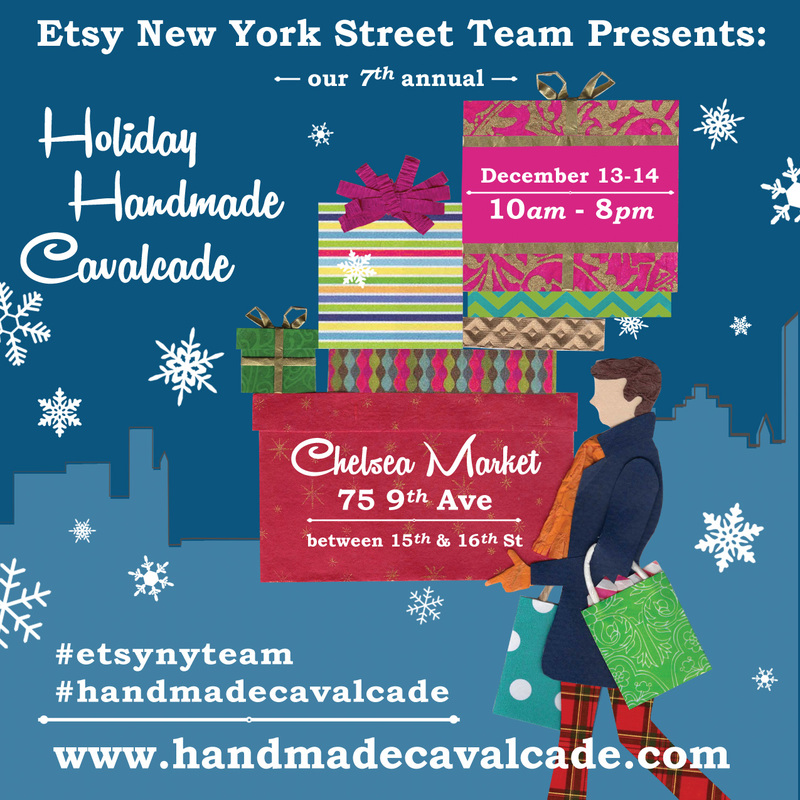 I am pleased to announce that I will be selling again at Etsy NY Team‘s Holiday Handmade Cavalcade! The market will be at Chelsea Market, and this time for an entire week. I however will be only selling on the weekend, on Dec 10-11. One other big change this year is that we are encouraging people to RSVP at Eventbrite for free admission. In past years we have been so crowded that we had to turn people away at the door because we were violating the fire code! So this year if you RSVP you get in free, and if it’s crowded when you show up it’s a $2 fee. The idea is that we want to ensure that the people who are really interested in shopping the market are able to do so. So RSVP and hope to see you Dec 10-11 at Chelsea Market! I am now the proud mother of two 🙂 Baby number two is a healthy girl, growing rapidly. I’m finally getting the hang of managing two young children, so I am ending my maternity break and adding the business back into the equation. In addition to tweaking both this site and adapting to the changes that Etsy made during my break, I am working on expanding my product lines in preparation for the holidays. Keep an eye on instagram for more updates! I will be selling this upcoming Sunday, 2/7, at the Greenpointers Valentine’s Market from 1-7PM at Greenpoint Loft. In addition to shopping handmade gifts for your sweetie, there will be lots of great food, henna, a photo booth, face painting, massages, tarot readings and a DJ. This will be the last market I will be doing until the holidays roll back around, since I will be starting maternity leave in March! 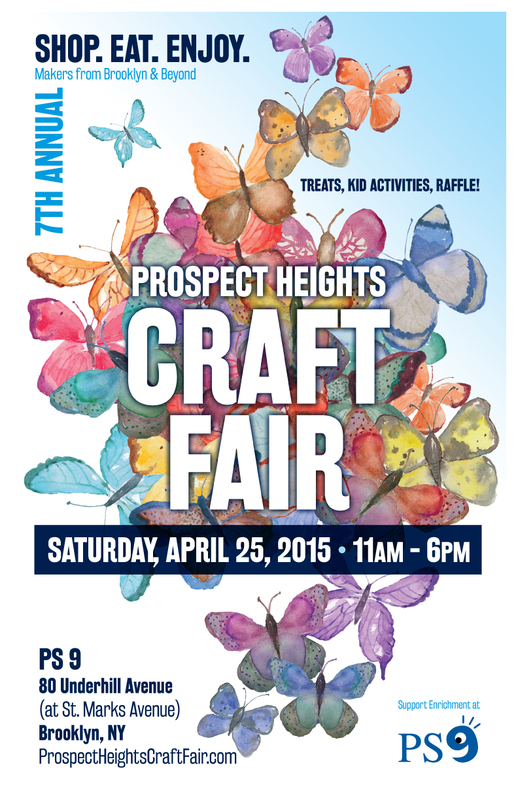 This Saturday I’ll be selling at the Prospect Heights Craft Fair. The show is located at P.S. 9 and the proceeds benefit arts programs at the school. I haven’t had time to sit down and photograph things properly, but these are a preview of what I’ll have available. Above is geometric line art in a chevron pattern. I was very sad to discover that my notebook supplier discontinued my standard notebook, which I used in my DIY kits and completed embroideries. Their replacement had a cover that was totally unsuitable for embroidery, so I had to go looking for an alternative so I could restock my popular DIY kits. I still haven’t found the perfect replacement, but I have found a great way to continue to offer DIY kits: embroidered cards! 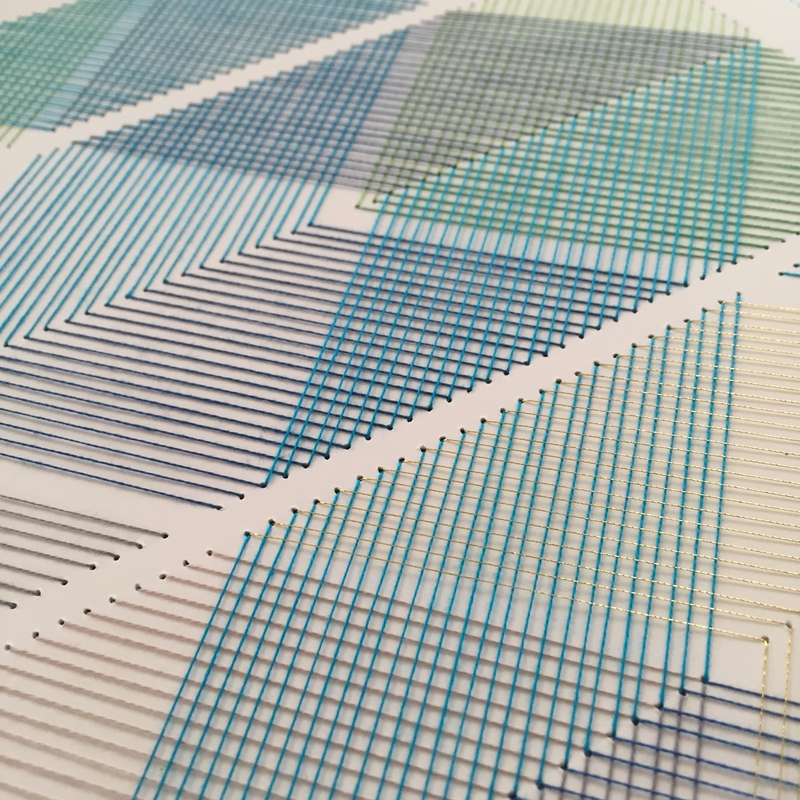 Each kit comes with a pre-punched card, an envelope, embroidery floss, an embroidery needle, and detailed instructions to create each card. 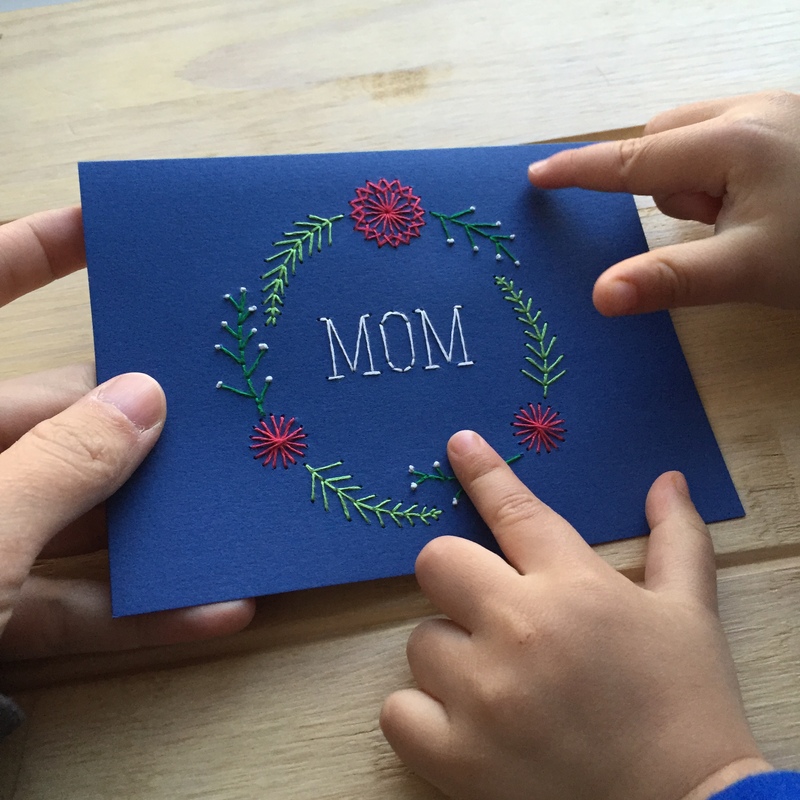 There are three designs available right now: dual circles (which can be used to create a variety of designs), a red heart, and a “Mom” script typography –listed early enough that you can finish the card in time for Mother’s Day! You can find all three available here. I am very happy to announce that I will be selling at the Holiday Handmade Cavalcade on December 13-14. This year is very special since we secured a space at CHELSEA MARKET! I’ve been hearing estimates of 15,000-20,000 people making their way through the market during that time of year, so this will easily be my biggest market to date. I’ve been embroidering nonstop, working to create enough inventory for this big event. I’ll also have some unique items not available at the shop, as well as variations on current listings which have not been listed on Etsy. For more details check out the website and RSVP to the Facebook event. I also wanted to say that I will be going out of town for Thanksgiving. I will be keeping the shop open, but all orders will be shipped out Monday morning.